The San Jose Award Program recognizes the best of local small businesses and honors their achievements. This organization identifies competitive practices and programs, implemented by these local companies, and their contribution to the U.S. economy. Each year, San Jose business owners, trade groups, professional associations, and other organizations have an opportunity to receive this award, demonstrating their exceptional advantages at work. The 2015 San Jose Award Program experts were not guided by the quantity of the participants’ accomplishments, but the quality of their services. In each category the winner was chosen based on the information gathered both internally by the San Jose Award Program and data provided by third parties. 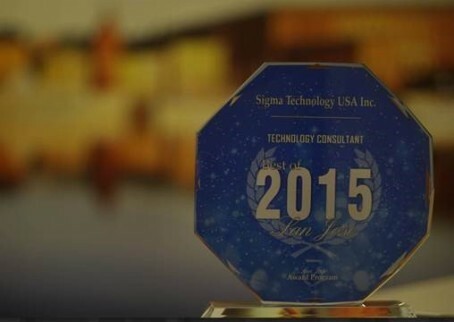 As the best technology consultant company, Sigma Technology USA was honored with the 2015 Best of San Jose Award. For more information, contact Niklas Börjesson (Niklas.Borjesson@sigmatechnology.se).